Like any new product to enter the market, electric auto rickshaws were met with the initial skepticism. The question on everyone’s mind was the efficiency and effectiveness, despite having proved to be a capable model in many countries. It didn’t help that electric bikes had paved the way – the success of which was largely questionable and didn’t quite meet the expectations that it had set out to begin with. The hiccups only lasted as long before roads were streaked with electric auto rickshaws of every color and style. The Chinese had marked their entry with cheap built, low priced electric auto rickshaws that soon multiplied as the next big thing to hit the public transport scenario. The rules clearly stated that Low Speed Vehicles did not require registration or even a driver’s license to ply on roads. This offered employed to many people who otherwise would have had to save over months and spend weeks in learning the rules of the road. The popularity was never questionable, but the application surely was after a few months into their running. What started as seemingly affordable soon became a nightmare with most electric auto rickshaw owners. Regular breakdowns, poor built quality, lack of service, unavailability of spare parts – were only the start of problems to come. 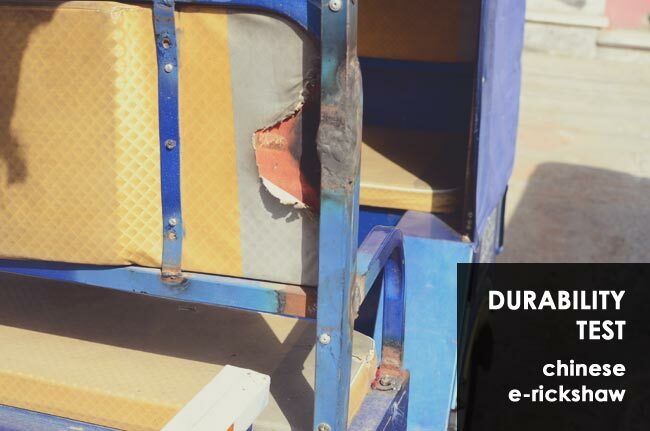 While importers were importing these electric auto rickshaws by the container, the retailers faced the consequences with agitated customers who lost a lot with even one day of their non functioning electric auto rickshaw. This led to the more serious concerns of the safety of these vehicles. In Delhi, as the numbers of electric auto rickshaws rose, the authorities also noted the number of accidents and breakdowns that were becoming commonplace with these vehicles. This led to issues between the regulatory authorities and electric auto rickshaw owners on a routine basis. There were talks of banning these vehicles, followed closely by the dismissal of electric auto rickshaws from the roads entirely. Bad quality Chinese electric auto rickshaws made the first bad impression for this class of vehicles. 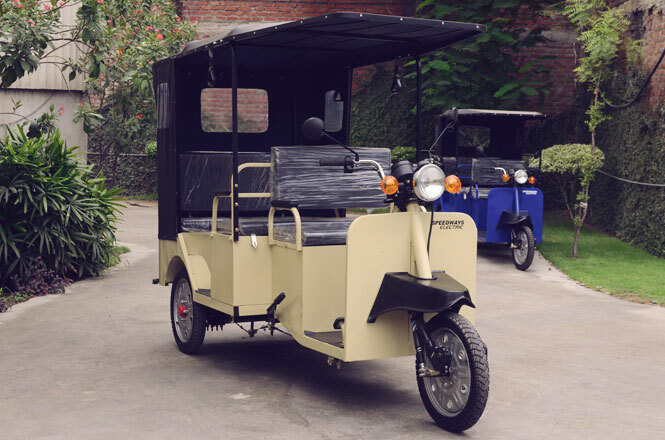 With the decline of Chinese electric auto rickshaws and the need for a more stable solution, there came in the opportunity for manufacturing these vehicles in the country itself. It offered more opportunity for local supplier and a better service model for buyers. While the containers still came in at an encouraging rate, the local fleets also developed in tandem. However, the design and structure remained the same and most of these electric auto rickshaws were being built in units no greater than a room with limited expertise beyond that which the Chinese rickshaws already introduced. Most parts were still being imported as bodies were built to accommodate them effectively. Overall, it was a more stable variant of the chinese electric auto rickshaws and held more promise for the future of public transport in India. 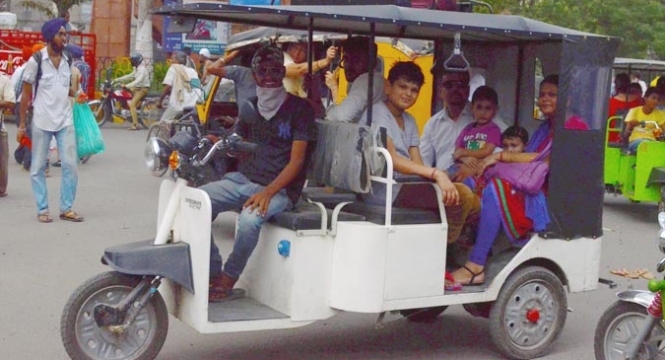 The Government continued to raise brows and offered little to no respite to the owners of these electric vehicles as the police was ordered in Delhi to lodge FIRs against any drivers still plying these rickshaws on the roads. Premium quality electric auto rickshaws being manufactured in the country has made the difference in the way people perceive these green vehicles. The problem with these electric auto rickshaws have always remained the quality and lack of stability but with better quality options surfacing in the market, there was a whole new niche of Premium electric auto rickshaws that don’t just look good but also boast of safety and durability. With manufacturers bringing in better quality materials and innovating in the technology to adapt better to Indian climatic conditions and roads, the electric auto rickshaws now have a very promising future. In view of these developments, the Delhi Government took the first step in legalizing these electric auto rickshaws, bringing relief not just to 2 lakh rickshaw owners but also those who had been waiting for this news before purchasing one of their own. With the nation’s capital supporting green vehicles and manufacturers ensuring quality – the rest of India has started to look up to the prospects of integrating these vehicles on the roads of various cities. The most promising market remains the rural areas where these affordable, yet quality vehicles can serve many useful purposes that were otherwise being met with manually driven rickshaws or bicycles. Electric auto rickshaws don’t just replace the pedal rickshaws that require so much physical strain and discomfort but also prove to be a much more affordable solution to fuel/CNG auto rickshaws that have been used for the same purpose. This makes it the perfect alternative and middle ground between the two – being cost effective, green and incredibly easy to run and maintain. What else can one ask from the future of electric vehicles in India?